Farmer Scott uses a tractor on his farm to help him grow plants. 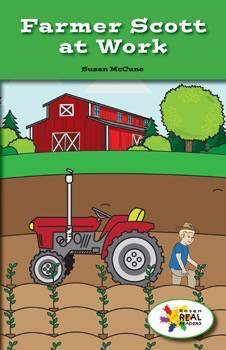 In this fictional narrative, tight picture-text correlation and domain-specific vocabulary help readers learn what a tractor does and how it is useful on a farm. This fiction title is paired with the nonfiction title All About Tractors.